GoPro — Good and Bad Karma. GoPro has been a truly amazing one-hit wonder. Unfortunately it remained a one-hit wonder with its wearable box-style action cameras under the Hero brand, and never produced a viable second product. A few years ago it tried to diversify by announcing an ambitious drone project called Karma, but that effort was plagued with problems all along, ultimately leading to the company entirely exiting that business this past week. GoPro rode high on the back of the rise of social media since 2010, and the excitement around incredible action-images on Facebook/Instagram etc. I remember 2014–2015 when you couldn’t pass through an airport without noticing GoPro cameras and accessories on sale, and Virgin Airlines even featured a GoPro action-cam channel on its in-flight entertainment system. Since then the company has faced tremendous competition, pricing wars, and commoditization of its hardware business, and has struggled to develop a software platform that would garner engagement. At one point the company was worth $14B, but now its market cap is just a bit above $1B. Last week it announced significantly pulling back on revenue projections, laying off 200 people, and hiring JP Morgan to look for a potential buyer. Hardware is for sure hard — and its easy to throw a rock at a company already down and dealing with troubles. But GoPro really should have known better. The warning signs were on the wall for years. Company did not innovate fast enough on products and did not capitalize on its strong marketing, distribution, and branding capabilities. I always felt the company was short on technology — their camera is a wonderfully packaged device but one that is mostly reliant on the technology that has been provided to them by Ambarella in the past (supplier of computational imaging chips that also supplies to DJI, the leading drone-maker in the world, and HIK vision, a Chinese camera maker). The company’s customers helped it create video strong content flow in past years, but if one was to point to a real winner from that it would be Red Bull, that fully capitalized on branding opportunities. 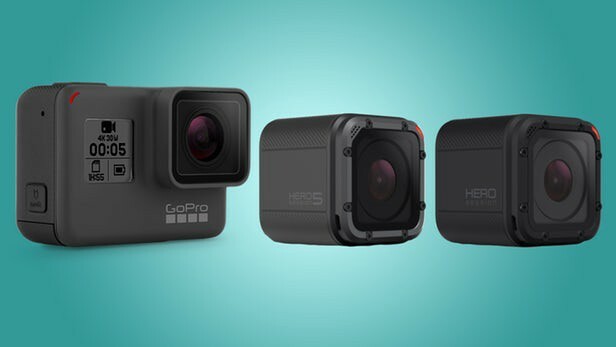 Finally, GoPro never fully developed a software platform that would have enabled it to create a strong connective tissue with its existing customers or to create a recurring revenue business. GoPro might still be able to pull a rabbit out of a hat, but I would think an acquisition or a strong partnership with another tech player would be a better outcome for the company. It might even be a requirement now for GoPro to think fresh, and to think beyond the camera as a recording device. Otherwise it feels too little too late. Who could buy GoPro? People have previously remarked that Apple, or Snap or DJI might be good candidates but that seems unlikely to me. It would be more likely to be an existing camera player looking to enter a new category, like Canon, Nikon, or Ricoh (that has had a good run with their Theta 360 degree camera). Or a company like Garmin that not only has a market cap to justify a big acquisition (with no debt and a strong cash position), and that also has a diverse portfolio of industries it serves that would allow it to add a fresh, new category into its mix. Garmin has launched its Virb camera platform that combined with GoPro could serve enterprise, and consumer sectors, and there are opportunities for greater integration with its fitness/sports wearables offerings. There are lots of lessons from companies like GoPro. It was an incredible success story for hardware, but did not build a long-term enduring franchise. Don’t be a one-product company, innovate fast to stay ahead of the game, engage consumers on a repeatable basis, and use exciting hardware offerings as bait to generate customer loyalty for software-related products and (recurring) revenues.